Information: John Graham, author of books about Morris dance. Dialect Songs of the North: Curwen's Edition 5712. Graham, John. London: Curwen. Lancashire and Cheshire Morris Dances: Curwen's Edition 5713. Graham, John. London: Curwen. 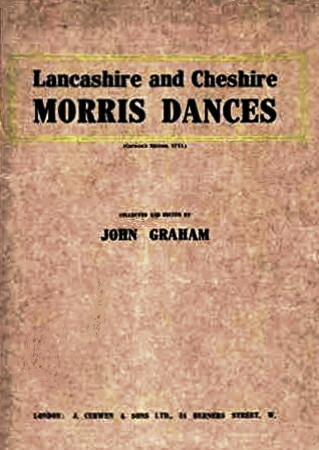 Morris Dances, 3d ed. Graham, John. London: Curwen, n.d.
Shakespearean-Bidford Morris Dances: Curwen's Edition 5623. Graham, John. London: Curwen. Traditional Nursery Rhymes: Curwen's Edition 5718. Graham, John. London: Curwen.